A quick note on the "rumor" status of this post before we actually discuss it - Business Insider was contacted by a music industry insider regarding Google's deal with various labels, and it sounds legit to us. So, we're calling this a "rumor" for safety's sake more than anything. Google has apparently worked out a deal with the major record labels to do something that no other major online music store has managed, though we're not sure how much more successful their model will be because of it. 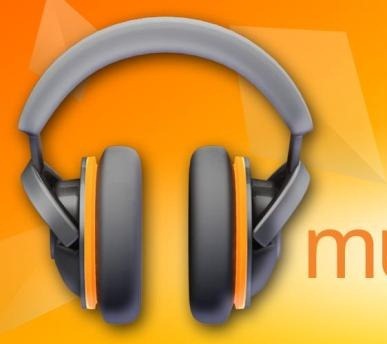 Google will operate a normal MP3 music storefront, very similar to Amazon. Combined with Google Music's cloud storage, the two companies would essentially operate the same kind of service. Presumably, Google's Music store would allow you to download hard copies of your purchased music as well. But as Andy Rubin told AllThingsD at AsiaD yesterday, their store would have a "twist." The twist is sharing. According to BI's source, the sharing will work in a fairly simple manner. If you buy a song (or album, we assume), you can share it with anyone you know that has a Google Music account, and they can then listen to that song for either a limited amount of time (maybe 24 hours) or a pre-determined number of times (eg, 5 playbacks). Record companies have never agreed to something quite like this. While companies like Spotify allow free streaming of songs or a subscription option, and therefore allow users to share songs with one another, as far as we're aware a sharing feature like the one Google Music will have has never been tried on any large scale before. Will it be a success? That's a tough question to answer. The record companies have obviously bought into some kind of argument that allowing users to share tracks they like with one another will create incentive for them to purchase the music once the limited share "license" on a track expires, and I can see where Google would be coming from on that point. In fact, this could have a very large rate of success for single track sales in particular, which as iTunes showed us so long ago, is something that consumers like. Paying $0.99 for a single track is something someone is a lot less likely to weigh costs and benefits of as opposed to a $15 album. If Google can integrate the "share" feature seamlessly into the Music app for Android in a way that people will actually use, there's a lot of potential here. The problem is the sharing mechanism, though. How would we share? Via e-mail? Via some "friends" feature in Music? Getting the ball rolling may prove difficult for a social feature like this. Google Music is relatively unknown to most people, and I'm willing to bet many Android users (not the kind who are reading this post, mind you) have no idea Google Music even exists. It will be interesting to see how Google works this sharing in practice, because that's probably going to be the "make or break" feature to differentiate Google Music from Amazon MP3. BI's source also indicated that users will be able to "pin" songs they've purchased to their mobile device, permanently caching them on the phone. Music will, otherwise, simply be streamed whenever it plays back. This is presumably to allow users to amass large collections without worrying about storage space on their devices. If this is the case, then it would follow logically that regular streaming would be at a significantly reduced bitrate by default (anywhere from 48-128kbps, most likely) in order to manage mobile data consumption, similar to streaming apps like Spotify and Pandora. Google is expected to debut this new Music store by the end of the year.